Free Practice 1 + 2: In the both free practice sessions the Kaufmann drivers showed strong pace. In FP the track was little damp. Jörg was P 6 and Delétraz was P 7. In the second free practice track was totally dry. In the end Jörg was the fastest overall and teammate Delétraz was on P 3. Qualifying 1: In the first qualifying Delétraz was in Group A. Delétraz was on strong pace put all sectors together and took P 1 in the group. Jörg was in Group B. Jörg drove a dominating Qualifying taking overall Pole-Position. Starting Grid for Race 1: Jörg Pole Position - Delétraz on P 2. Race 1: In the first race both Kaufmann drivers had a good start heading next to each other into turn 1. Jörg was inside, Delétraz needed to take the escape road missing the chicane. Due to that little missunderstanding, they both dropped back one position. After that Jörg was chasing the leader but didn´t found a way past. Delétraz defended well P 3. 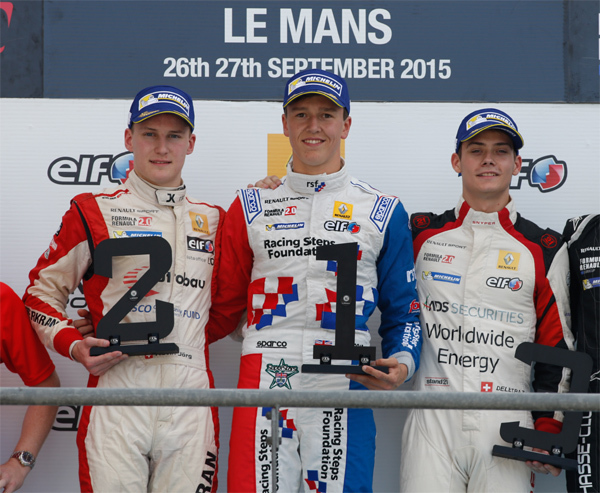 In the end they both finished on the podium with Jörg P 2 and Delétraz P 3. Qualifying 2: The second qualifying both Kaufmann Drivers were again very fast. Delétraz was time equal on P 3 in the group. Jörg missed out Pole by 0.017 seconds on P 2 in the group. 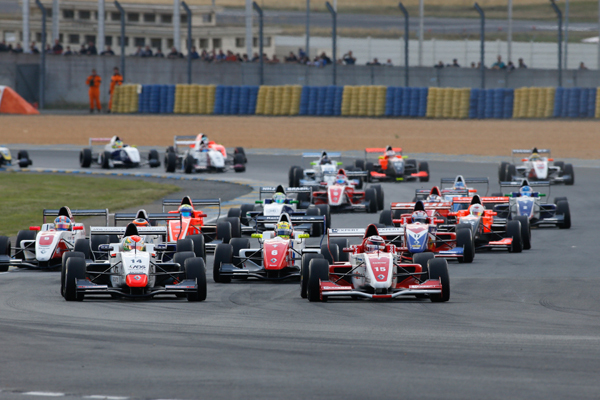 Race 2: Both Kaufmann drivers had a good start keeping their position into the first chicane. After the chicane they both had dropped down the order to P 8 and P 9 due to some drivers cutting the track and obvisiously gaining an advantage. An investigation after the race at least removed both drivers up into P 8 - Delétraz and P 7 - Jörg. Still a question mark remains to that first lap in this race.